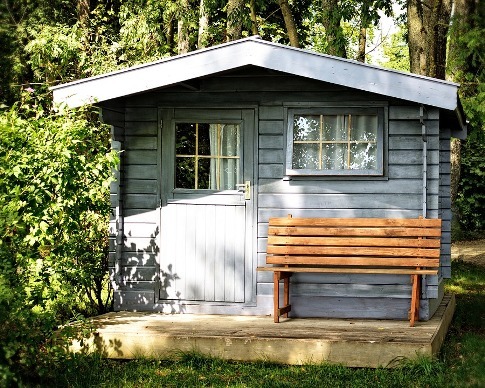 Many homeowners want to get a garden shed for several good reasons. If you want a rustic appeal in your backyard, you can opt to build a wooden shed. You can turn this shed as a hobby space or a playroom for your kids. On the other hand, if you want something more practical and functional, you can have a steel shed that is easy to maintain and more long-lasting. You can keep all your gardening tools and supplies in this structure or use it for other applications. A shed is an essential investment for your home. So, you must make sure that you will get the ideal shed that will bring you the best value for your money. That said, you have to consider some essential factors while planning for the project. In this article, we will give you the details you need to review to help you build a practical, durable and fully functional garden shed. The primary reason why you are creating a garden shed is that you want a secure structure where you can keep your belongings. Perhaps, you’re the type of person who does not like seeing clutter lying around your garden. So, before you start shopping for building materials, the first thing you should do is make an inventory of all the things you want to keep in your shed. Doing this will give you an idea of the amount of space you need to contain your items. You should also know that overestimating is better than building a shed that can’t accommodate all your belongings. On the other hand, you must still consider the amount of garden space you can use for your shed. You would not want your shed to fill the entire landscape! Functionality is not the only quality your shed should possess. It should also add beauty to your garden, So, it is crucial that you carefully plan the design of your shed and how it will look in your yard. You must work your shed in your garden. This way, the layout of the area is balanced, and there are a harmonious flow and feel. Consider the logistics when you are deciding where to place your shed in your garden. Remember that you will always be going in and out of this room to get and keep your tools. So, you have to make it accessible. Do not place it in a location where you will be required to take so much time walking back and forth. The material you want for your shed determines the most significant chunk of your construction project. There are many types of garden sheds to choose from. Most people select wood because of the unique appeal it can give to a yard. However, you have to know that when exposed to water for a long time, wood can start to rot. If you want a timber shed for your garden, you will be delighted to know that there are types of wood that react differently to water. For example, pine and cedar have resin which makes them less susceptible to rotting caused by water exposure. The best materials for timber garden sheds are whitewood and redwood. It is undeniable how no other material can match the beauty and appeal of natural wooden garden sheds. However, you must know that you have to maintain timber religiously. Moreover, they do not tend to last for a lifetime. So, if you are after something that is strong enough to endure the harsh Australian conditions, we recommend opting for steel garden sheds. For example, you can get colorbond sheds. They are perfect for gardens because they have been laboratory-tested across different experimental sites. You can ensure that they will stand strong despite exposure to various weather and terrain conditions. What’s more, they are easy to maintain, and they are available in a range of colours and styles. 4) Do you Need Permits? Depending on the size and location of your garden shed, you might need to secure permits from your local council. Keep in mind that the building codes and laws vary from region to region. So, it would be best for you to contact the relevant government authorities before beginning your shed construction. Once you’ve acquired the right permits, only then can you erect your garden shed. Following local council laws is crucial in protecting the health and safety of your family and the other people in your neighbourhood. 5) What Can your Budget Cover? Of course, the most critical question you have to ask yourself is, “How much am I willing to spend?” Remember that you will not be spending money on the structure alone. You must get the right materials to construct a solid foundation. Moreover, you must consider the amount you need to pay for council permits. As you plan your project, the expenses will start to rack up. So, it is essential that you determine exactly how much you are willing to spend. You must also include a contingency fund for unexpected costs.